The dB Blocker™ Convertible Non-Vented Offers the same hearing protection as the Classic Non-Vented, but has a removable cord. It is particularly suited for industrial applications where there is high air movement (wind noise) which may cause a whistle in the vent. 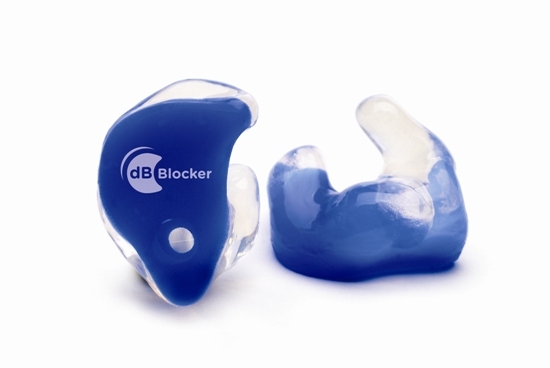 The dB Blocker™ Convertible is a hearing protector that is actually comfortable to wear. Most hearing damage arises when an ear plug is removed for conversation and comfort. Classic dB Blockers™ are made to fit the individual’s ear exactly and stay in place without pressuring the ear so comfort is not an issue. This gives the worker a product that provides effective hearing protection and stays in the ear all day long. Non-Vented dB Blocker™ Convertible hearing protectors (earplugs) were designed for persons who work in and out of noise. They are ideal for executives and supervisors who visit the factory floor infrequently and do not need to communicate while in a noisy workplace.